Leonard Energy Training (LET) is an important component to Integral Transformative Practice, teaching practical, alternative ways of navigating life situations while enhancing the flow of your vital energy. Developed by aikido sensei and co-founder George Leonard, LET utilizes teachings from the martial art of aikido, Western psychology and physical theory. In ITP, we offer LET exercises that call upon the body as teacher, not only to show us how to live a more balanced, vital and healthy life but also to point the way toward the next stage of human evolution. 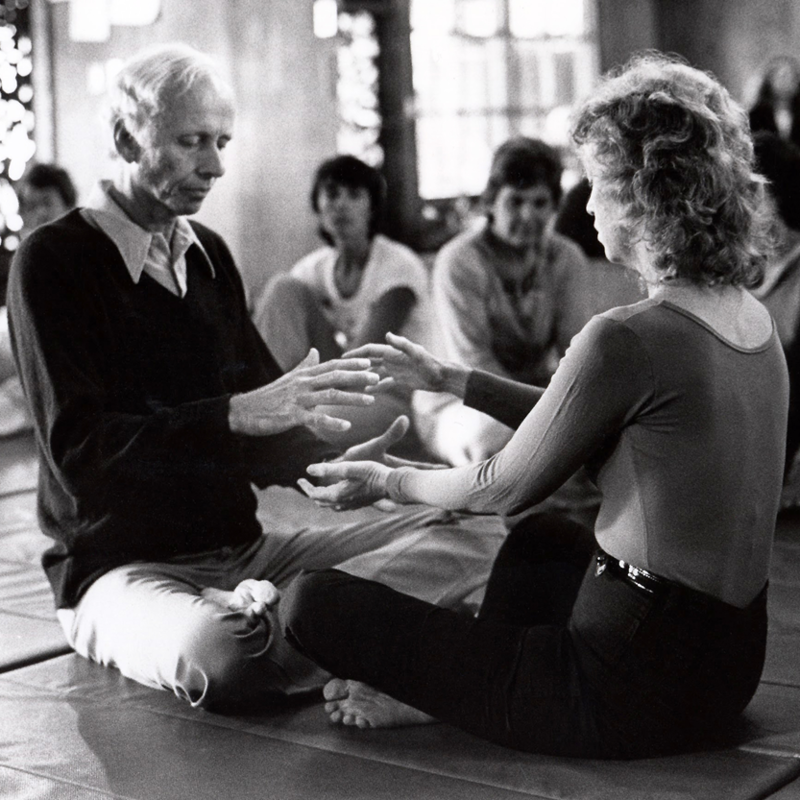 Once you’re aware of its subtle power, you can begin to uncover the profound wisdom of the body and its extraordinary capacities. Before you begin incorporating LET exercises into your practice, it’s important to know these guidelines. 1. You are the authority. Anything you experience is valid for you. You’re responsible for who you are and for what you do, perceive and feel. 2. The capacity of the human being and of human society is largely untapped. We use only a small portion of the incredible potential available to us. It’s possible to experience life in all of its dimensions: physical, emotional, intellectual, spiritual and social more deeply, creatively and meaningfully. 3. The body is a highly effective learning facility. Once you’ve tuned into your body, you’ve tapped an almost limitless source of learning. 4. A centered body leads to a centered life. Your bodily stance goes a long way toward indicating your stance in life. The human body can be taken as a metaphor for everything else in existence. 5. Expect nothing, be ready for anything. Readiness is a good thing, but expectations can sometimes get in the way of lessons and joy found in unexpected experiences. 6. Put it on the mat. Develop your talents, make them public and be willing to play the fool. Take appropriate risks and don’t hoard yourself. 7. Take the hit as a gift. Challenges can be energizing. Don’t deny the existence of negative happenings. Use them to achieve your potential by navigating the shocks and blows of life experiences. 8. Personal intention carries great power. Intention is what you consciously or unconsciously aim for or establish as purpose. Your intention, if strong enough, has the potential to create your reality. 9. A change of context makes transformation possible. To change perception is often to change experience. Most LET exercises involve a change of context to navigate life’s challenges. This essential exercise expands on the G.R.A.C.E. checklist that begins the ITP Kata. Before you begin, it’s important to understand that in this context of the exercise, to be balanced means the weight and energy of the body is distributed evenly, right and left, forward and back, all the way from the head to the toes. To be centered means that body awareness is focused primarily in the center of the abdomen and your movement is initiated from this space. As you listen to the guided exercise below, notice what it feels like in body, mind, heart and soul to be balanced and centered. Bring your entire being into balance during this guided ITP exercise led by co-founder George Leonard. Explore our Leonard Energy Training Manual for more information and exercises.